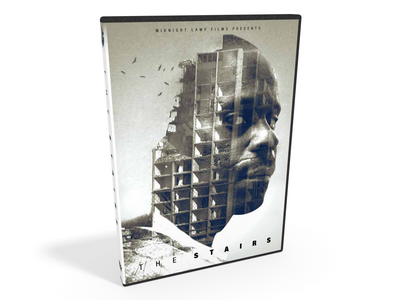 Own The Stairs DVD for home use. Features: Closed captioning for the hearing impaired (English or French), and optional French subtitles. Running time: 95 mins. FOLLOW THE STAIRS TO A FESTIVAL, CINEMA, OR HARM REDUCTION EVENT NEAR YOU! The Stairs tells the story of Marty, Greg and Roxanne, who each survived decades of street-involvement. Using their experiences to ease the paths of others, they perform social work in their old neighbourhood, while struggling to maintain their newly-found stability. Told over five years, The Stairs examines life on society’s margins. Defying stereotypes through intimate portraits, its remarkable subjects are surprising, funny, shocking and moving. A graduate of York University and alumni of the Berlinale Talent Campus, TIFF Talent Lab and TIFF Studio. Selected credits include writing/directing the acclaimed short drama, Hogtown Blues (’04: TIFF, Audience Award winner at Zinebi Bilbao Film Festival). He produced feature doc, A Place Called Los Pereyra (’09: IDFA, RIDM, BAFICI), which screened extensively in Latin America and Canada, and produced short doc A Tomb with a View (’14: TIFF, VIFF, Hamburg). The Stairs is his feature debut as director. He lives in Toronto. Alan Zweig is among the most respected directors in Canada. His films include, Hurt (’15), which premiered at TIFF, winning the Platform Prize, and later a Canadian Screen Award for Best Documentary, and When Jews Were Funny, which won Best Canadian film at TIFF (’13). Among his many laurels are a Genie Award for A Hard Name (’09), and career retrospectives at Hot Docs and the Winnipeg Film Group. Other films include There is a House Here, Hope, 15 Reasons to Live, Lovable, I. Curmudgeon, and Vinyl. Multi-platform filmmaker, editor, and producer, whose work has screened at Berlinale, SXSW, Rotterdam and Hot Docs, as well as winning both Genie and Gemini Awards. As director, his short doc, The Road to Webequie premiered at TIFF ('16) and was nominated for a Canadian Screen Award, and his short docs, Beyond The Horizon (’15) and A Tomb With A View (’14) also premiered at TIFF. Credits include The National Parks Project, No Heart Feelings and Gros Morne. As a documentary editor, credits include A Place Called Los Pereyra and Tess Girard’s As The Crow Flies. With over 15 years experience, Argentina-native Andres Landau is an award-winning editor and post-supervisor. Recently, he edited Charles Officer’s award-winning, Unarmed Verses ('17). In 2011, he oversaw post-production for The National Parks Project, and edited Sirmilik, the 2012 Genie Award winning short documentary by director Zacharias Kunuk. Selected credits include The Missing Tourist, Cree Code Talker, Mission Asteroid, A Tomb with a View, Warm Man, Dead of Winter, A Simple Rhythm, A Place Called Los Pereyra. Born in Calgary, graduate of University of Lethbridge, and York University (MFA: film production). His films, installations, and photography have been exhibited at festivals (including TIFF), galleries, and alternative spaces across Canada and internationally. He maintains an active practice as a media arts instructor, encouraging experimental and hybrid approaches to narrative filmmaking. He previously taught at OCAD, and currently teaches film and video production at the University of New Brunswick. "The Canadian filmmaker discusses his feature debut, a compassionate, unvarnished look at the lives of drug users in urban Toronto. Hugh Gibson’s feature film debut represents the arrival of a major new voice in documentary filmmaking. The Stairs is a compassionate, unvarnished look at the lives of drug users in urban Toronto—their struggles to help themselves and one another, to change their lives for the better, and above all to maintain dignity in a society that often seems to prefer their invisibility. Gibson’s film avoids the pat narratives and uplifting bromides so often associated with this genre, instead preferring to allow the subjects to speak for themselves. His camera is curious and non-judgmental. Applying a style that is equal parts Errol Morris and Allan King, Gibson combines free observation with direct testimony to produce a vital document of a culture all around us. It’s a community that some of us may at one time have been a part of, one that others of us seldom see." "How The Stairs provides an honest insight into drug addiction. Hugh Gibson's 2016 documentary is a sensitive and important portrait. In the space of only a few years, English-Canadian cinema has evolved into what some critics – and the streaming platform MUBI, with its special curated season ‘Canada’s Next Generation’ – have called a new wave. Young directors... have been delivering bold short or feature films that feel particularly fresh and seem to come out of nowhere, especially for spectators from abroad. One such discovery is Hugh Gibson, who with his 2016 documentary The Stairs makes a vital and emotional feature debut that, like most of the other films in MUBI’s eye-opening selection, is both Canadian at its core and of universal appeal." Taking Theatrical Distribution into your own hands, literally. "Who knows how audiences will react in India. It varies by location. In Argentina: shock. South Korea: surprise. In Baltimore, some found it quaint (remarked one viewer, "Nice how the Canadians have due process"). A common thread has been empathy toward the subjects – admiration for their strength, resilience and striving to help each other." "When Hugh Gibson began shooting The Stairs in 2011, he didn’t know how his documentary about a group of past and present drug users living in Toronto’s Regent Park was going to end. Through five years of filming, that’s what kept him going: searching for a conclusion. The award-winning documentary plays at Vancity Theatre beginning this Friday (April 21). 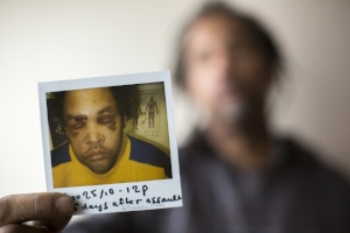 It’s a simultaneously gritty but warm portrait of people addicted to drugs." "Gibson has called The Stairs a “harm-reduction film,” referring to an intervention strategy that aims not at a total cessation of drug use, but something more dynamic and nuanced: a forgoing of short-term solutions by recognizing that addicts are in it for the long haul, rather aiming to minimize harm for both users and their communities.... But The Stairs isn’t a social worker’s manifesto or a recruitment ad; rather, it’s a serious effort to reckon with harm reduction as a storytelling strategy—a way of thinking about addicts, whether currently using or sober, as people with still-evolving narrative trajectories and voices worth hearing, regardless of where they’re standing on the staircase at any given time." "Toronto film critics gave Hugh Gibson’s The Stairs, about habitual drug users in the city’s Regent Park community, the award for best homegrown feature on Tuesday night." “Because it’s shining a light on something we don’t see and that’s so shockingly inspiring, what these subjects of the documentary are doing, in terms of giving back to their community while facing their own struggles,” she said in an interview. For all inquiries & requests, please complete this form. For institutional sales, please inquire for pricing of educational and library use, or public performance. Special discounts available for harm reduction and experiential organizations. We will respond as quickly as possible, typically within 48 hrs.